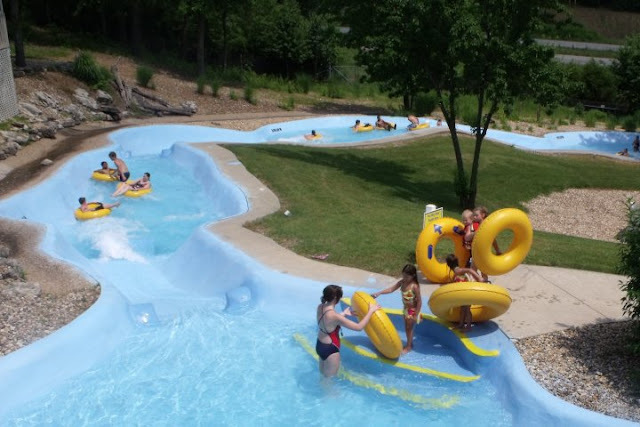 The Lake of the Ozarks is a hot spot for family vacations, especially around the summer holidays. The 4th of July falls on a Wednesday this year and that means there are way more opportunities to celebrate! 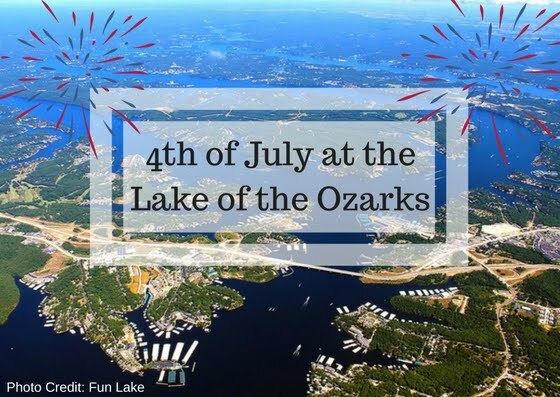 Whether you choose to celebrate on the 4th or wait until the weekend (or make it a week-long adventure), Best Lake Attractions is here for you! We look forward to helping you make the most of your time during your vacation to the Lake of the Ozarks. Bridal Cave has been voted one of the most scenic caves in the United States. You don't want to miss out on seeing this natural beauty for yourself! Touring the cave is the PERFECT way to get a break from the summer heat and spend time with your family. Guided tours leave every few minutes to help you discover the cave. A vast history of the cave and area are offered throughout the tours, as well. It's a fun way to learn about the area and navigate through the historic cavern. We are now offering lantern tours on Saturday evenings. It's a fun way get a unique experience of our cave. This special 75 minute guided tour of Bridal Cave details the adventure of what cave exploring used to be before electric lights. Imagine the excitement of seeing this now famous cavern by hand-held lanterns. Don’t miss one of the most exhilarating cave explorations in the Ozarks! Jamey Johnson will be taking the stage, along with Craig Campbell and Stoney LaRue on July 6th at Ozarks Amphitheater! It's sure to be a night full of fun times and great music. 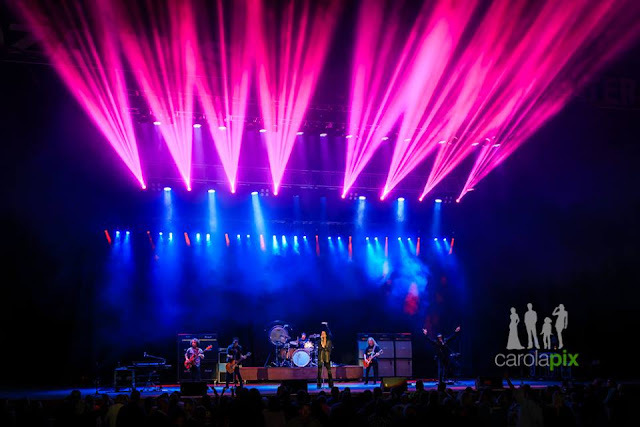 Create new memories with your friends and family at this AWESOME concert. It's going to be a thrilling night full of FANTASTIC country music! 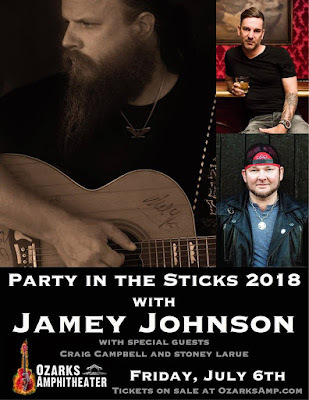 Eleven-time Grammy-nominated singer-songwriter Jamey Johnson is “one of the greatest country singers of our time,” according to the Washington Post. He also won two Song of the Year Trophies, for “Give It Away” and “In Color,” both from the Academy of Country Music and the Country Music Association. This concert is the perfect way to kick off the holiday weekend! Now that you've gotten a few ideas on how you can celebrate this holiday weekend, you're ready to make plans with your friends and family. Our Lake of the Ozarks attractions welcomes you to visit our attractions to help celebrate the holiday with your family. Holidays are all about spending time with those you love and we provide fun and adventurous ways to do just that! As you plan your time at the Lake, we hope you'll visit the best attractions at the Lake of the Ozarks!